RESERVE pour Marie. 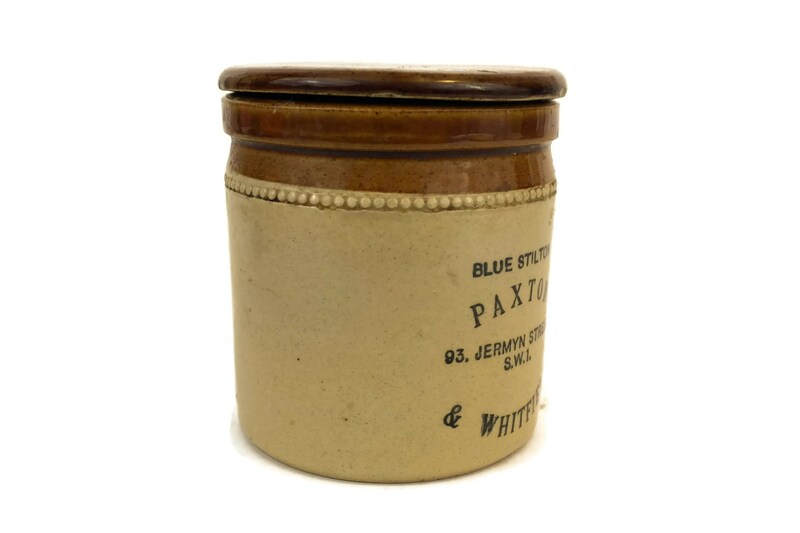 Vintage Lidded Stoneware Jar. 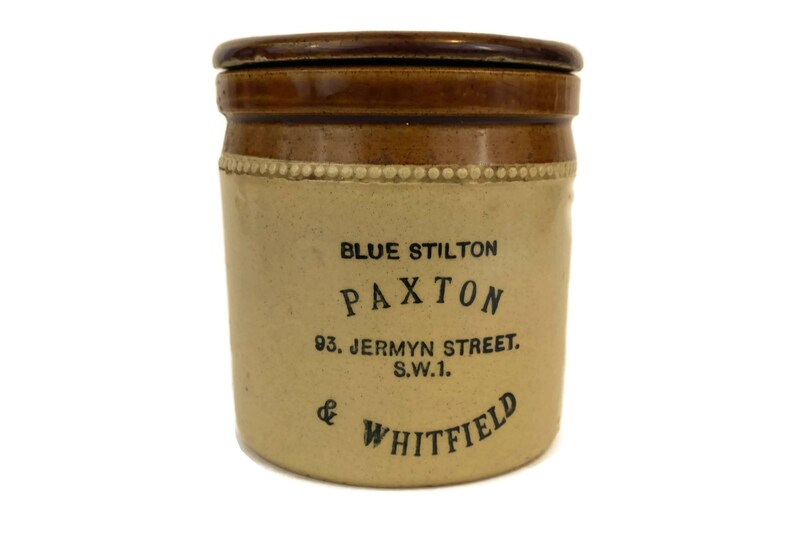 Paxton and Whitfield Blue Stilton Cheese Pot. 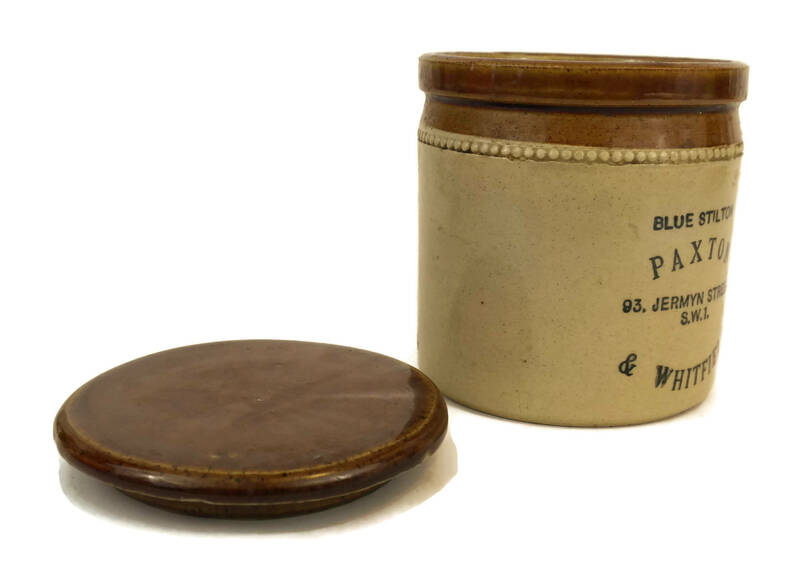 Pottery Jar. English Country Kitchen Decor. 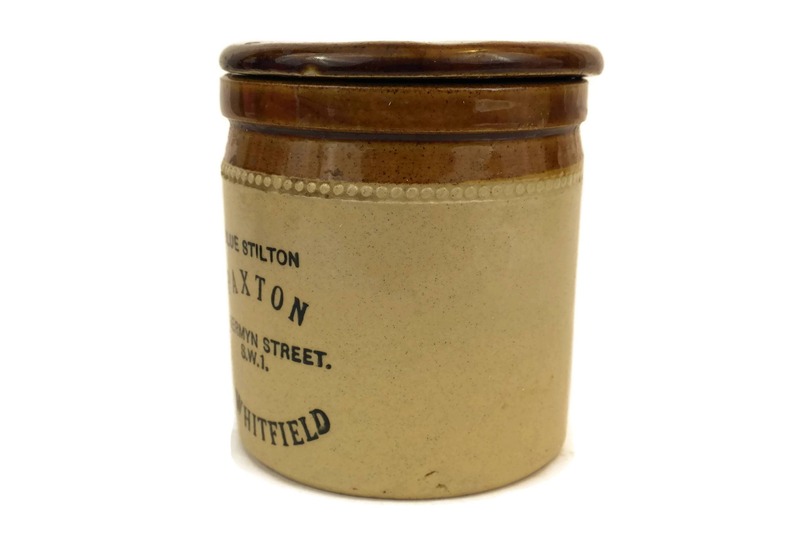 A vintage lidded stoneware jar manufactured in England in the 1960's. 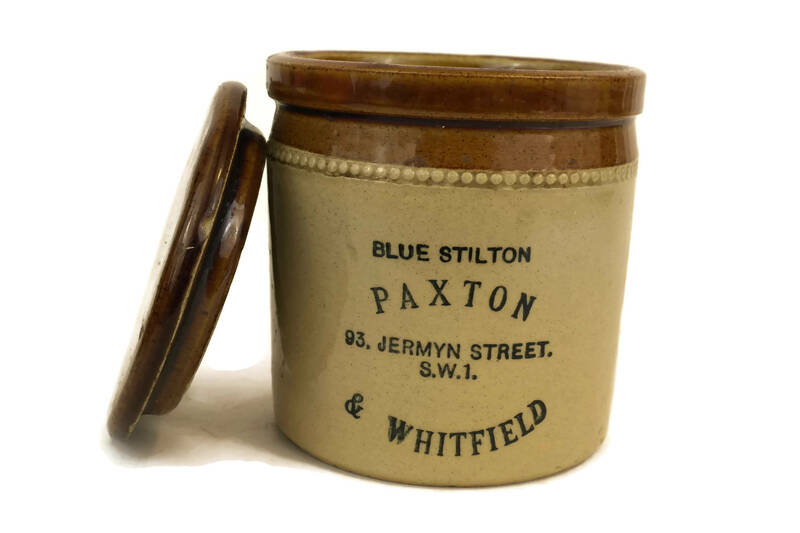 The jar was originally used to store classic English Blue Stilton cheese from the exclusive grocer Paxton and Whitfield. 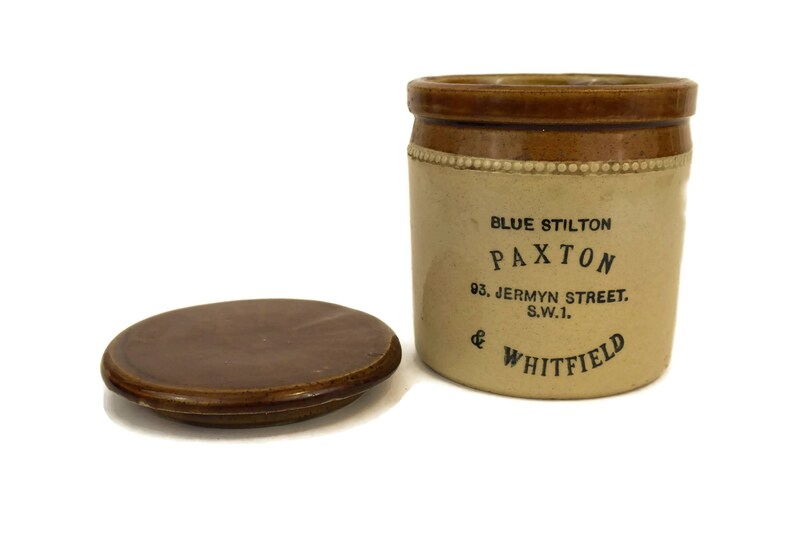 It features a two-toned glaze in shades of beige and brown and the front has been decorated with the Paxton and Whitfield's name and address and the name of the cheese. 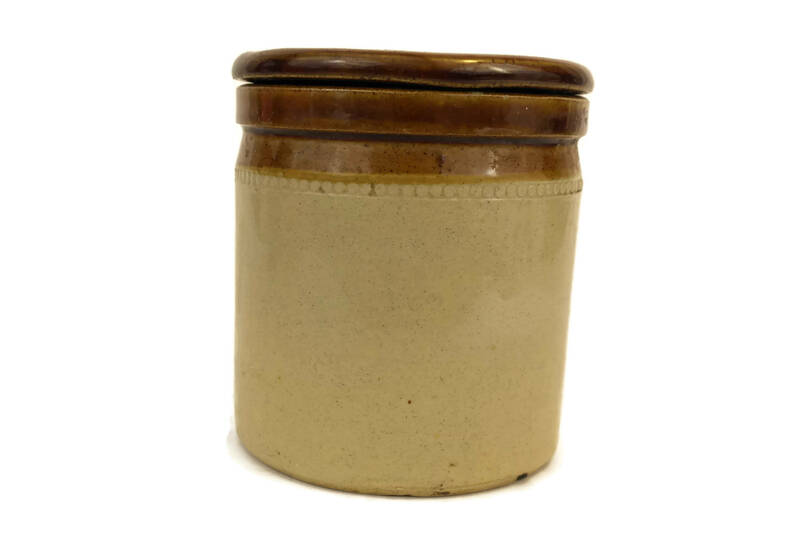 The pottery jar is filled with rustic charm and will make a lovely accent in an English country kitchen decor. 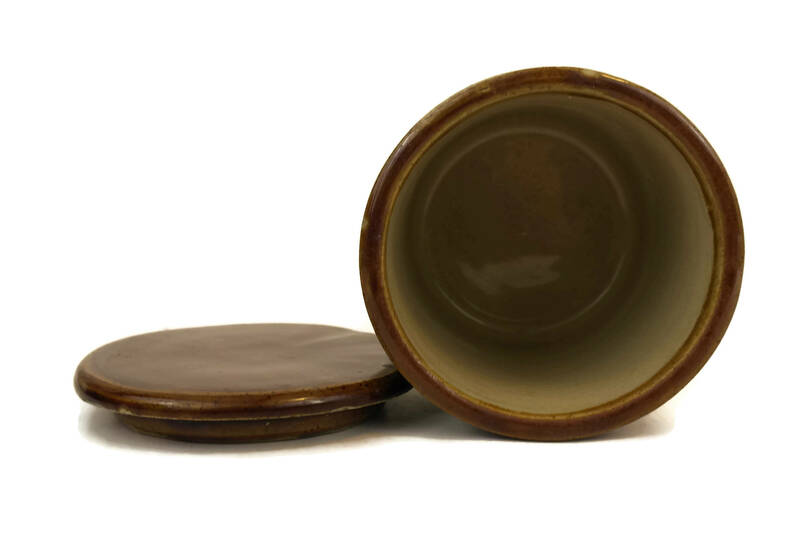 The stoneware jar is 4 1/4" Tall x 3 1/2" Wide (10,5 cm x 9 cm). 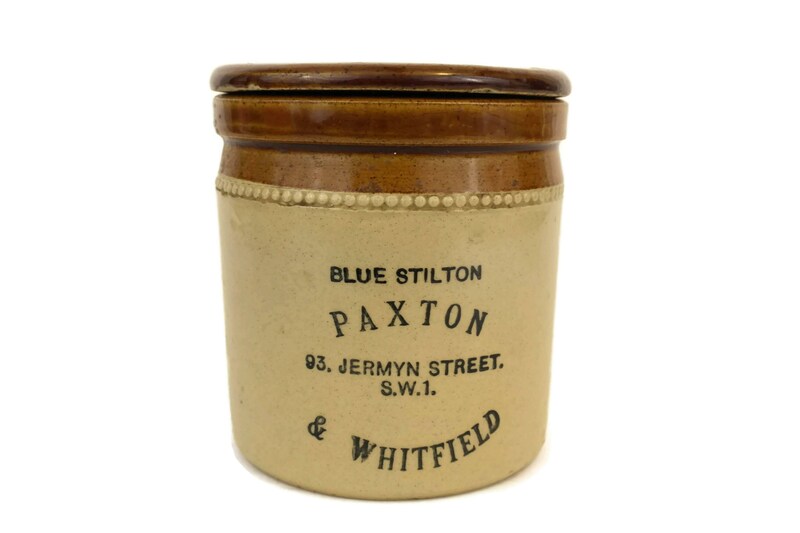 The Blue Stilton cheese pot is in very good vintage condition. There is no chips or cracks. 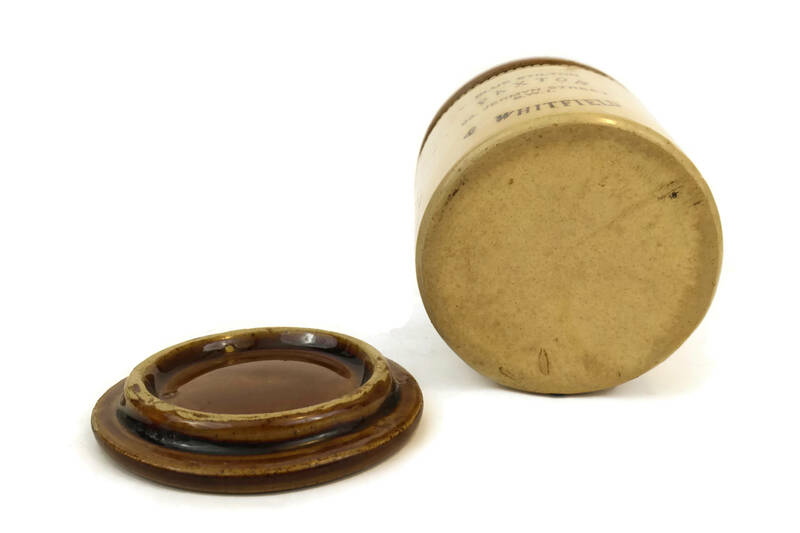 There is some light roughness to the glaze on the lid.